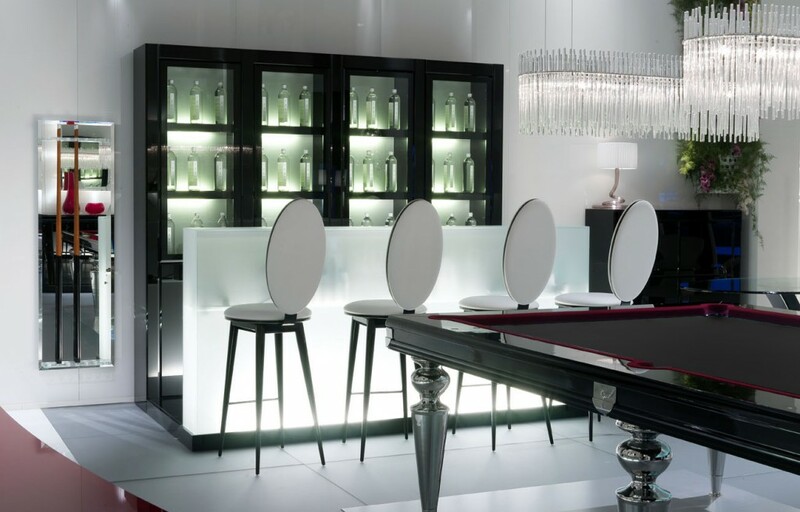 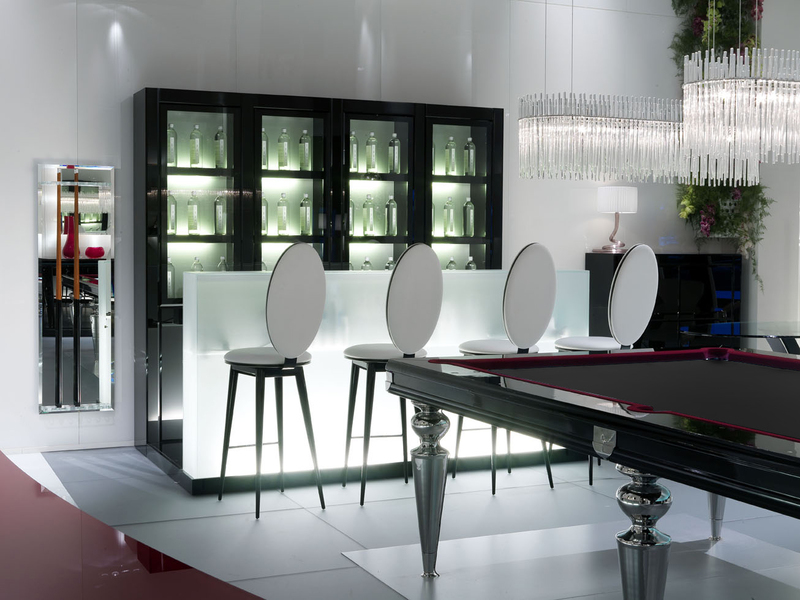 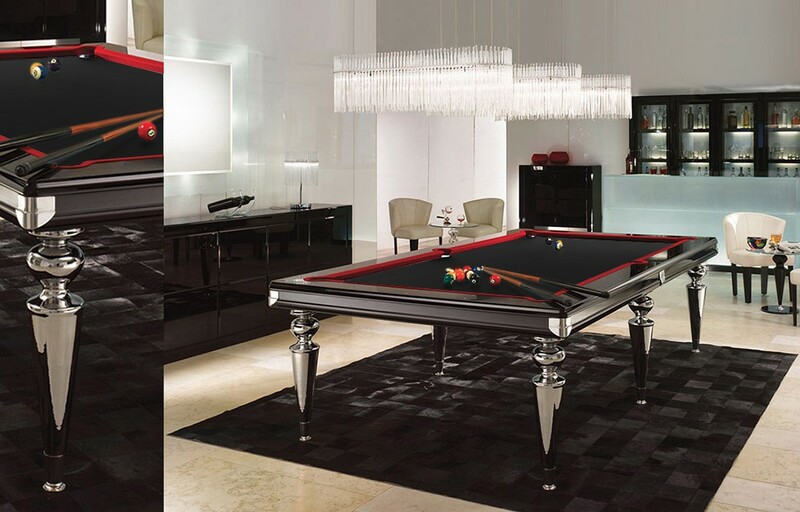 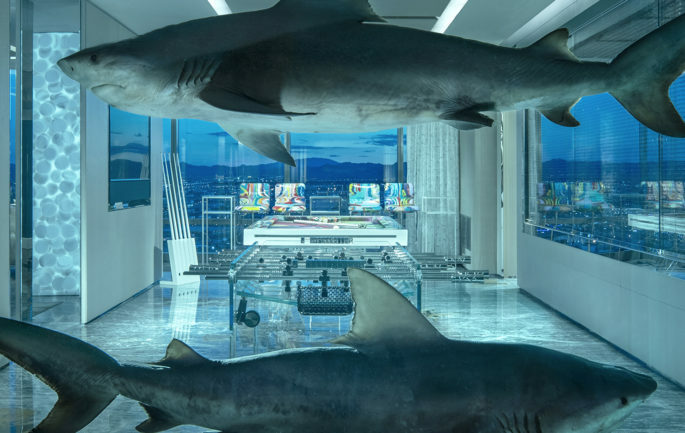 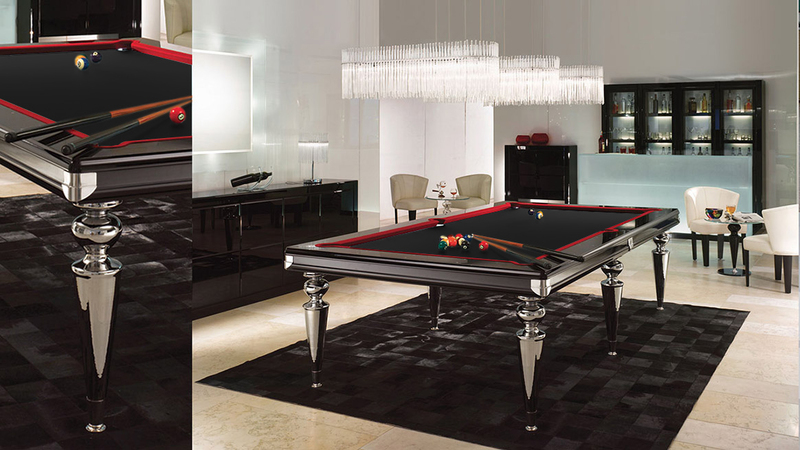 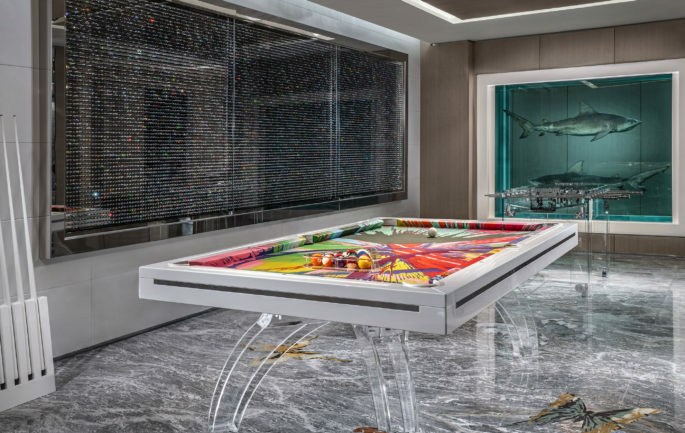 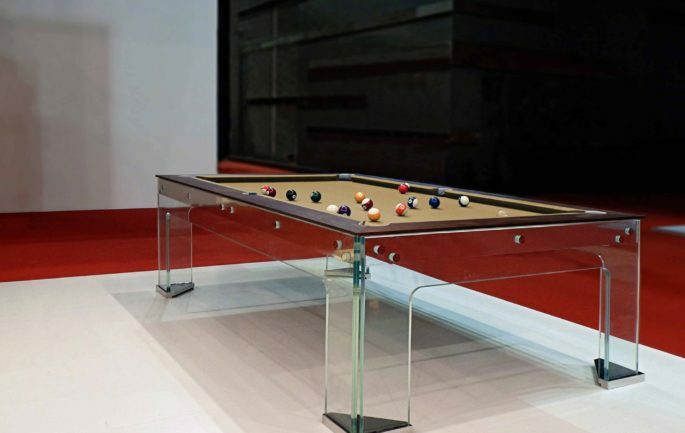 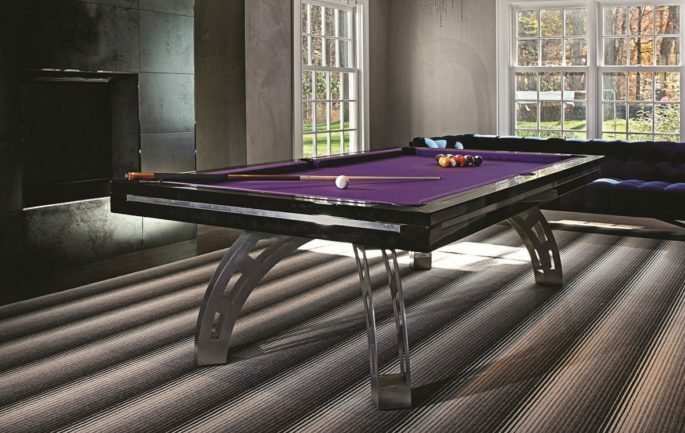 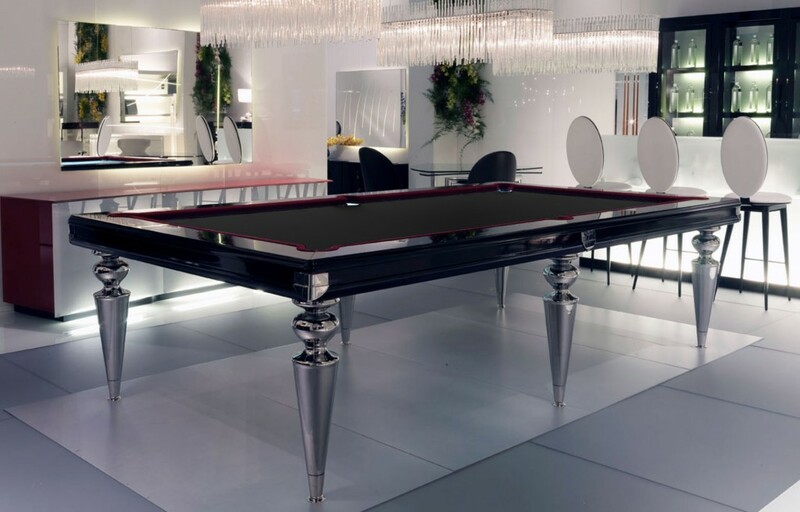 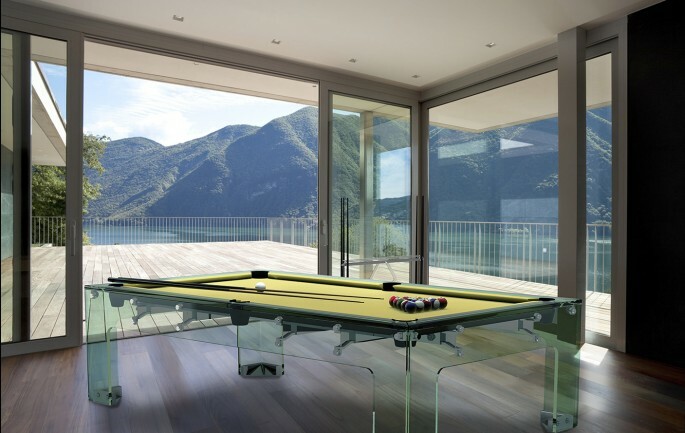 A luxurious glass bed pool table with glass legs as standard. 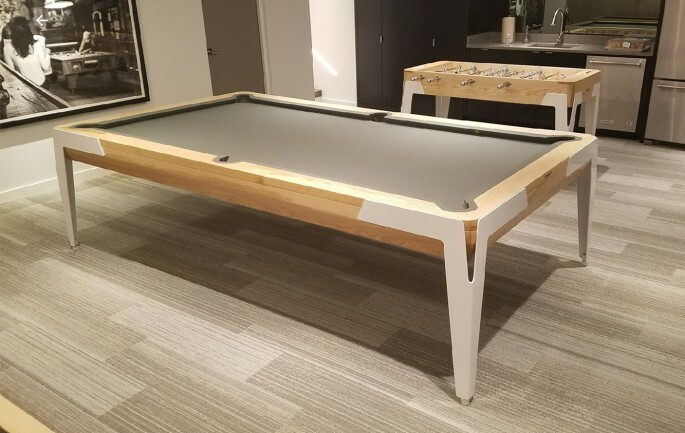 Led lighting underneath playsurface. 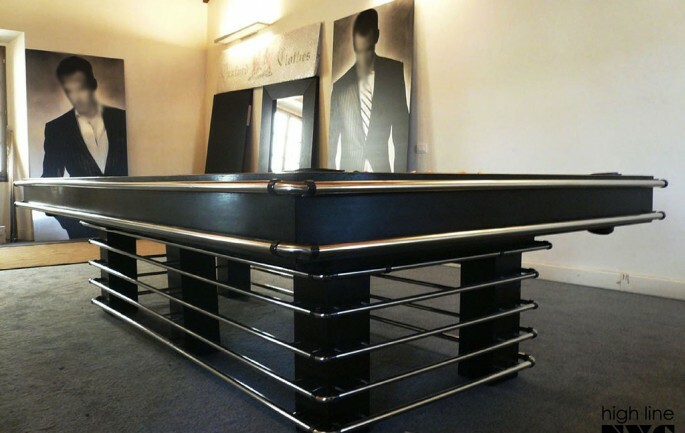 Black piano finish rails. 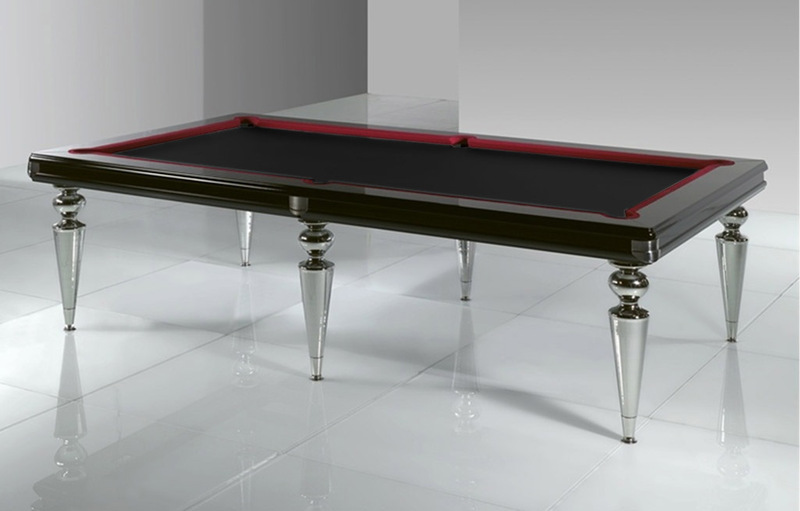 Customizations of the table are unlimited. 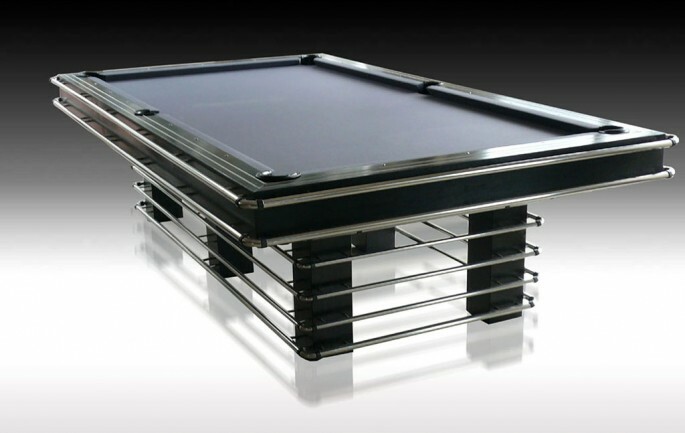 The base can also be re-designed to a straight mimimal four inch leg of any material. 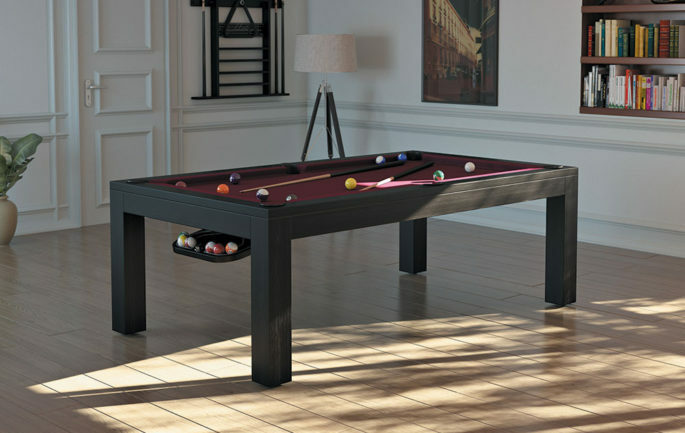 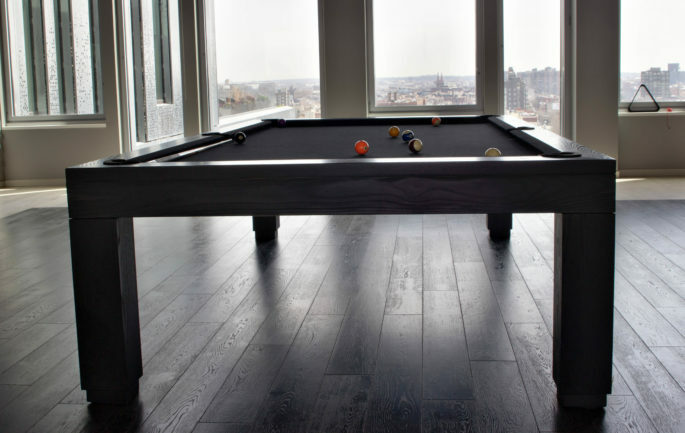 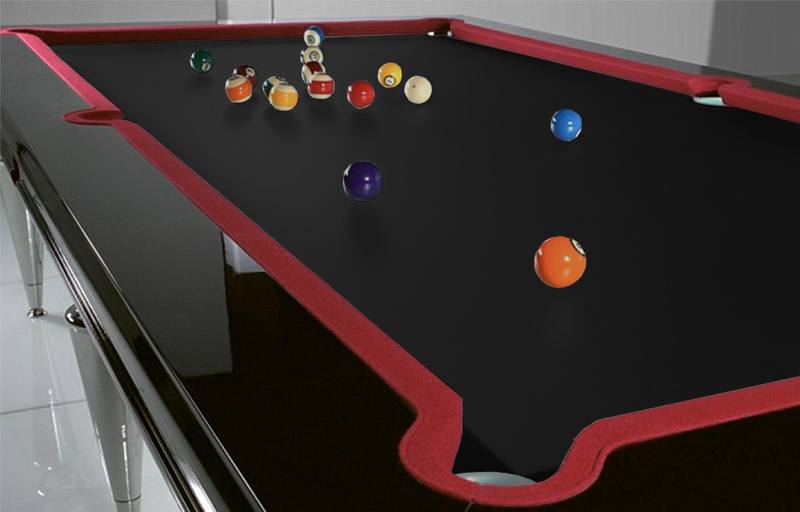 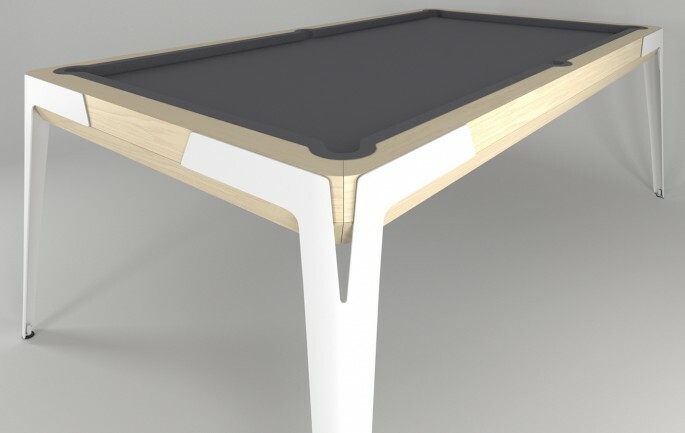 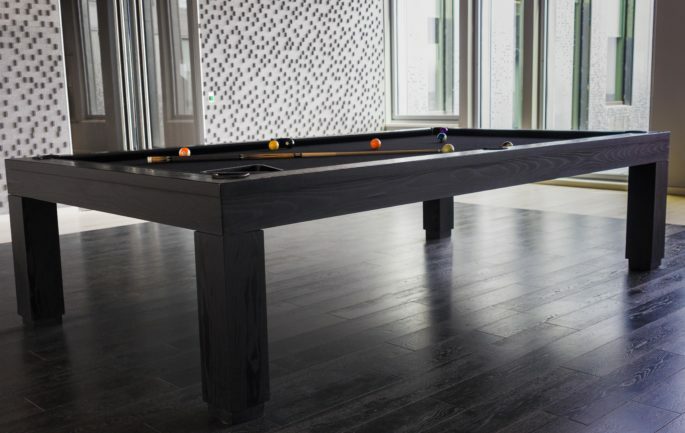 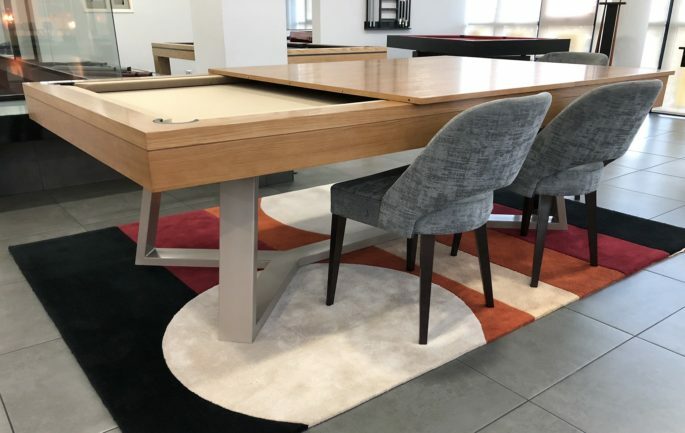 The table is offered with a felt play surface and is recommended for serious players. 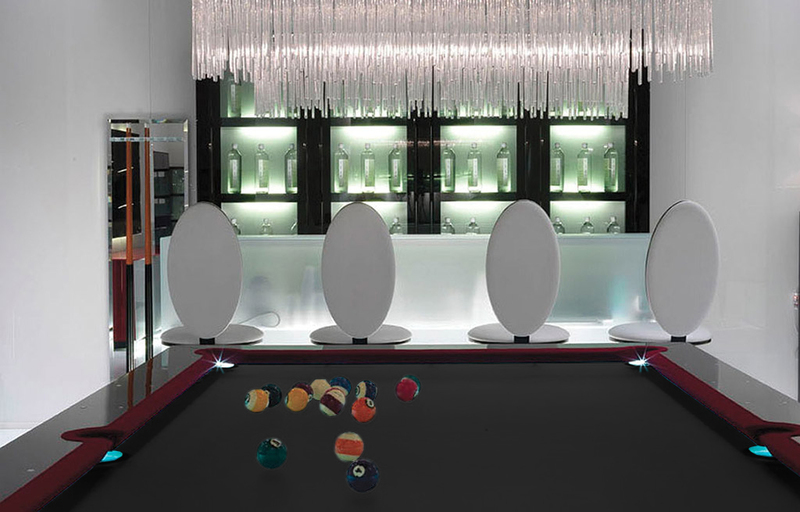 The speed of the ball on the abrased glass play surface has a very fast play. 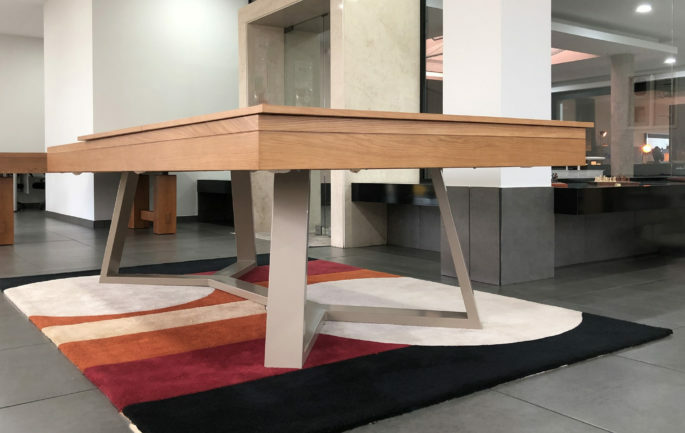 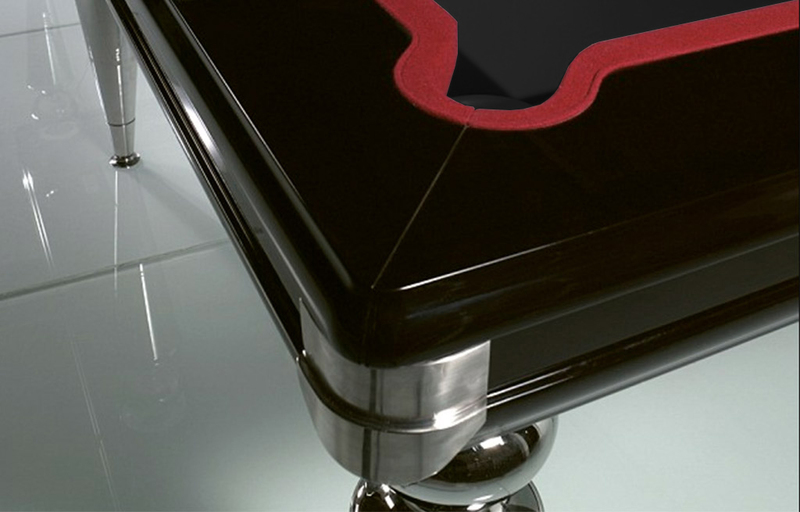 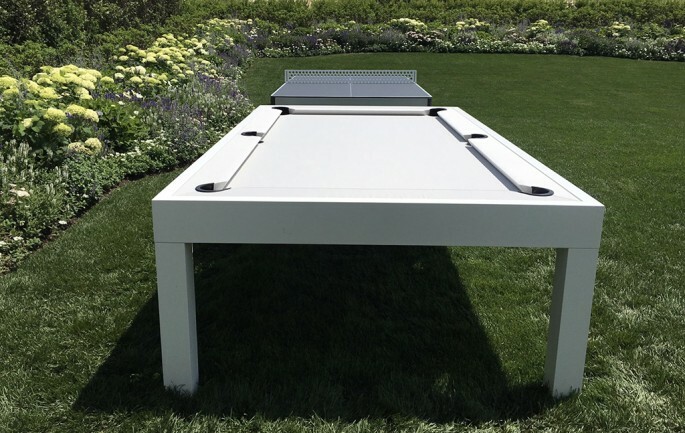 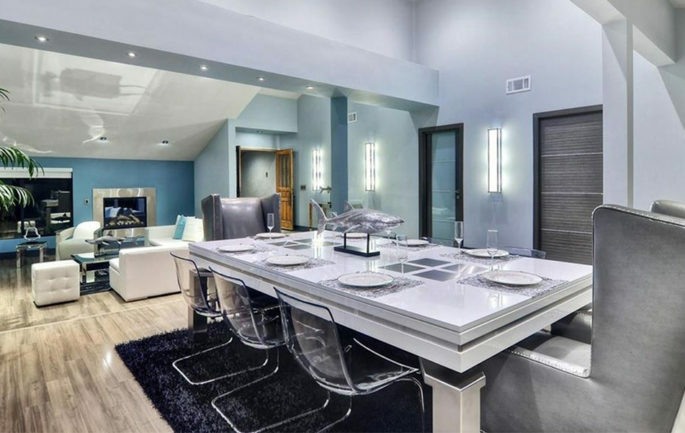 The table suits it's name and belongs in any Beverly Hills home estate.